9 oz. Perfection Stemless Wine Glass. A new unique twist to your standard wine glass. This stemless wine glass is well proportioned and perfectly shaped to enhance the bouquet of anyone's favorite wine. 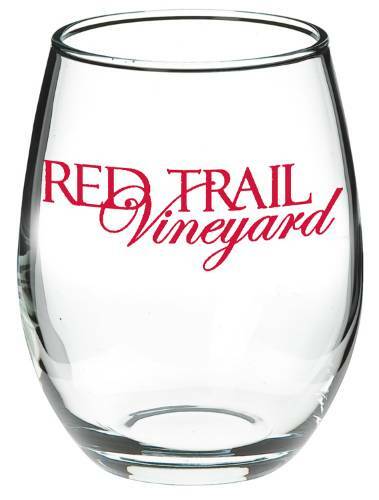 It makes a perfect addition for wineries and restaurants. This glass is sure to add to the atmosphere of any party or event. It is a keeper for anyone who takes the imprinted glass home. The glass is perfect for proms and wedding receptions. Use it as a party favor and you're sure your guest will remember your event for a long time coming. • Imprint area: 1-1/2" H x2-1/2" W x 8-1/2" Wrap.